Fully insured, Budget Fence and Gate Systems is ready to tackle any commercial or industrial security fencing project you may have. 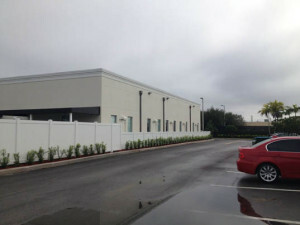 Our Commercial-Industrial Fencing division services include but are not limited to: Run-off Ponds, Chain Link Fences, Barbed Wire, Razor Ribbon, Wrought Iron style, Commercial Steel, Commercial Aluminum, Swing Gates, Roll Gates, Cantilever Gates, Ornamental Double Drive Gates, interior and exterior security cages, you name it – we will make your satisfaction our #1 priority. We are extremely proud to share, that our Commercial-Industrial fence division manager has been dedicated to working with our customers for over 40 years. If your project has unique or difficult requirements, we are up for any challenge. Please give us the opportunity to impress you with recommendations, that can be drawn from many similar past experiences- or to present new creative ideas. You’ll be glad you did. We have extensive experience with a broad range of customers including general contractors, governmental agencies, airport authorities, wildlife, and military and police facilities. We have also done extensive work with Home Owners Associations, Property Owners Associations, and individual business owners. Please refer to our home page to see our extensive resume of high end security needs clients that have repeatedly trusted our company to provide installations and maintain their commercial properties. We offer service and repair for our entire product line or for existing fence repairs you may need. We have a dedicated division to help you secure your business and inventory with a top quality Commercial or Industrial Fence. Our commercial line of products and services offers business customers solutions for every type of project, big or small. We help facilitate the process by making sense of your operational and aesthetic needs, step by step. We understand that most commercial jobs typically go far beyond the basics. Our gates can be custom made to order using any design or material that is required by our customer. Our gates can be automated by gate operators and access control systems to provide for specific entry and exit needs, security needs, and aesthetic requirements. We also offer video surveillance capabilities to coincide with our automated gates. All of our gates are custom made in house to ensure precise measurements, strength and rigidity, and quality control so the integrity of your gate is not compromised. In many cases our gates need to span large entrances, so the proper weight load dispersal needs to be properly and professionally addressed, and we have the expertise and know how to accommodate your project. Often the grade of your property will determine which types of commercial products will serve you best. We offer a variety of automation options. Your Project Design Consultant will work with you to recommend the best solution for your gate needs. Roll Gates- retract along your fence on a track system along with the gate nose riding along the ground typically on a track if the grade allows. Cantilever Gates- retract along your fence and are suspended slightly off the ground riding entirely on a track system. Budget Fence and Gate Systems has been providing customers with effective and high quality gate and gate automation products and services since 1950. It is important to choose a company with dedicated experience within the gate automation industry to do the job right. Poor installation or poor quality products can turn your gate into a nightmare instead of being an asset for the protection of your business. We would love to add you to our segment of clients that have elected to utilize our company through our regularly scheduled maintenance program. We regularly service a number of clients who need us essentially around the clock to ensure, they’re systems don’t encounter performance interruption. Some of these clients include well known shipping and delivery companies, hotels and high rise condo facilities. Meet with one of our knowledgeable project consultants to assist in carefully considering your choices. Our experienced project consultants can meet with you to discuss any design elements you wish to incorporate into your installation. We listen to your ideas, needs, or concerns to provide a comprehensive plan of action to accommodate them. Throughout this process, we can provide pictures, installation techniques, and recommendations as a solution to your project. Our project consultants are trained to address unique scenarios with your unique property. Our highly skilled, trained, and experienced installers can meet with you at the commencement of your installation to go over specific details you’re looking to accomplish. If you have special concerns, our installers are trained to give extra attention when needed to address your concerns. We are a proud member of the American Fence Association, with one of our employees having served as the president for the association. With every fence and gate installation we provide, we follow the guiding principles of this organization for best industry methods and practices. We also incorporate our decades of experience, to know what methods of installation have the best and most proven track record for Southern Florida more specifically. 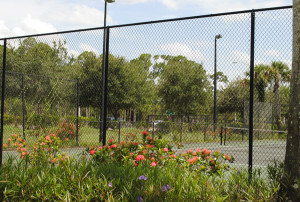 If you are looking for any type of commercial or industrial fence, gate, service or fence or gate repair in Palm Beach, Martin, or Broward County, Please call Budget Fence and Gate Systems at 561-793-6404.